This line of dialogue spoken by the young Elder Stephen (played by Robert Emms) captures the central conflict in Daniel Kokotajlo gut punching feature film debut: Apostasy. The title itself (A great word, which I’ll admit I did have to look up before going to see this!) means the renouncing or abandoning of a religious or political belief. The former is on the table here. Strap yourselves in. As the above quote would suggest, Apostasy is film about a family of Jehovah’s witnesses in Oldham in Northern England. When college student Luisa (Sacha Parkinson) becomes pregnant, she faces being “disfellowshipped” from her faith, and ostracised from her family. 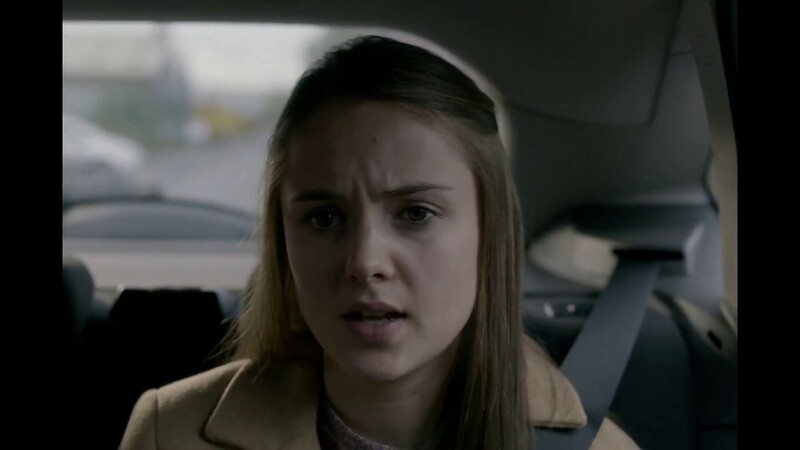 Her mother Ivanna (Siobhan Finneran) then has to attempt to stop her other daughter, the eighteen year old Alex (Molly Wright) from going down the same road. It’s basically like Fiddler on the Roof, if it had been directed by Shane Meadows. Director Kokotajlo is a former Jehovah’s Witness himself, which really shows. There is an intimate and detailed knowledge of a world, so few of us know about or would get an opportunity to see. However, while this could be a movie exploring the world of Jehovah’s Witnesses and a bitter condemnation from a filmmaker who has since abandoned his faith, Kokotajlo resists that route, and instead uses this world as his battlefield, and tells us a story about family. And a bloody good one at that. You definitely do get a feel for it, but Kokotajlo leaves you to make your own conclusions. Indeed he has said when interviewed: “it’s not critical of the Witnesses – it’s a film about people who stand up for what they believe in.” Somehow he does achieve this. Enough cannot be said of the three central performances: there is an astonishing amount of pain and restraint here, a testimony to both the director and the actor’s themselves: Finneran is mindblowing as the devout and torn mother Ivanna, Parkinson heartbreaking as the shunned older daughter Luisa and Wright gives us a performance with maturity way beyond her eighteen years. Their performances are intensified and enhanced in no small part by the cinematographer Adam Scarth, who shoots nearly all of their shots in intimate closeup. Ultimately, as I said, this is a film about its own story. There is great dialogue, along with a genuinely unpredictable narrative that twists and turns. This is why it works so well. It’s dark, intelligent, and authentic. More of this please.